Today we are sharing a short tutorial on making Pretzel Wands. Yes! We are getting together in the kitchen, getting messy and making memories. This is a super easy recipe that you can do with your children and actually have fun doing it! There are so many options when it comes to making these. A few options can be pretzel shape, toppings and candy coating. We used Pretzel Rods, Dark Chocolate, Rainbow Sprinkles and Peanuts. Melt your candy according to the packaging. Next dip and cover our pretzels more than half way with our melted chocolate. Then shake off the excess. 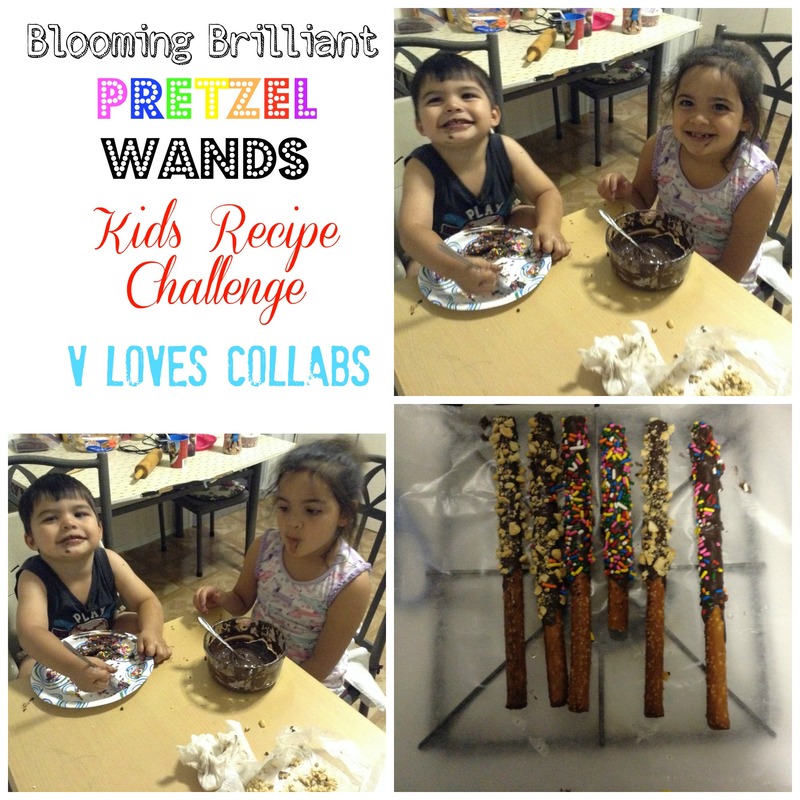 Check out our crazy attempts of filming while making these delicious pretzel wands. Will you try this recipe with your kids? What are some of the toppings you may try? Let us know in the comments section below. This video was part of a V Loves Collabs on YouTube.Check out V Loves Collabs on Facebook. Check out the creator of this collab Dusty Santo’s channel. Check out the playlist of others techniques on making these yummy treats. As always we would love for you to subscribe to our channel.